Gift for the New York chocolate lover, check! 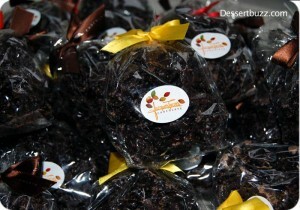 If you know someone who really likes chocolate, (and who doesn’t?) then I have a slam-dunk sure-fire holiday gift idea for you: Professor Chocolate’s Ultimate Guide to Finding Chocolate in New York City. 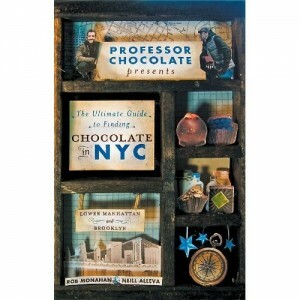 The book is half Rough Guide, half Zagat’s for chocolate in NYC. The guide profiles 40 different shops in Lower Manhattan and Brooklyn and also features 11 different walking tours which include a little bit of history about each ‘hood. There’s space within each tour’s pages to make your own notes and ratings–including five blank stars for you to fill in like a coloring book– about the chocolates and other products you try. One of the things I like about the book is that it doesn’t try to rate or rank the chocolate shops (so maybe Zagat’s isn’t such a good comparison). They do recommend what their favorite items are from each shop and in nearly every case I think they nail it. 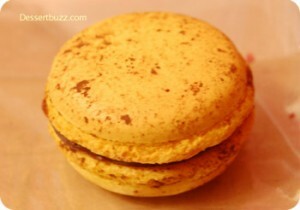 Examples: Jacques Torres: Chocolate cornflakes or Cheerios, Kee’s: Macarons. 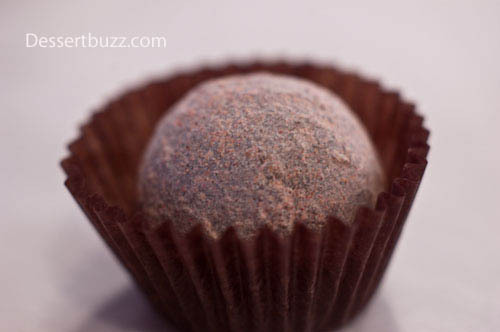 Another strength is how the authors avoid being “chocolate snobs” when explaining the reasons behind their recommendations– not an easy thing to do when discussing the different chocolate shops in NYC. In fact, Whole Foods and Pure Dark (owned by Mars) share tours with tiny artisanal shops like Bond Street Chocolates and Li-Lac. 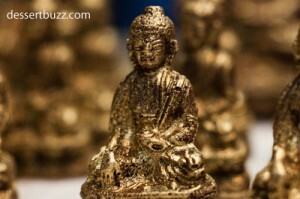 The book is completely agnostic when it comes to size and sales. No one store is held out as “the best”– that is up to the reader to decide. It seems that the author’s (very worthy) goal is simply to share their love and knowledge of chocolates of NYC with as many people as possible. Cool. For more on who Professor Chocolate is go here. Available on Amazon for $25.00, done and done! Visit Professor chocolate’s website here. Part one of the DessertBuzz gift guide is here. Thanks for the amazing write-up. It is an honor to be featured here! I really dig the book Rob. Can’t wait to see what the next incarnation will look like. I totally agree with your very well written and precise review of Professor Chocolate’s book! My 16 month old twin sons and I have been on several chocolate tours with Rob and Neill! We had a blast every time and all choices were divine! Happy Holidays!